…and my sweet Lord, does it make her shine! Nothing fancy here. After inserting the booster/overdrive in between VCO and filter section, I took another of those lovely Musikding.de kits for a phaser, built it, drilled some holes into Jenny’s housing and fitted it. I have been using Jenny as a bass synth recently, and I am quite impressed by the quantities of life and fun this old machine is adding to the mix. She doesn’t do that much in terms of tonal range, but what she does, she does well. 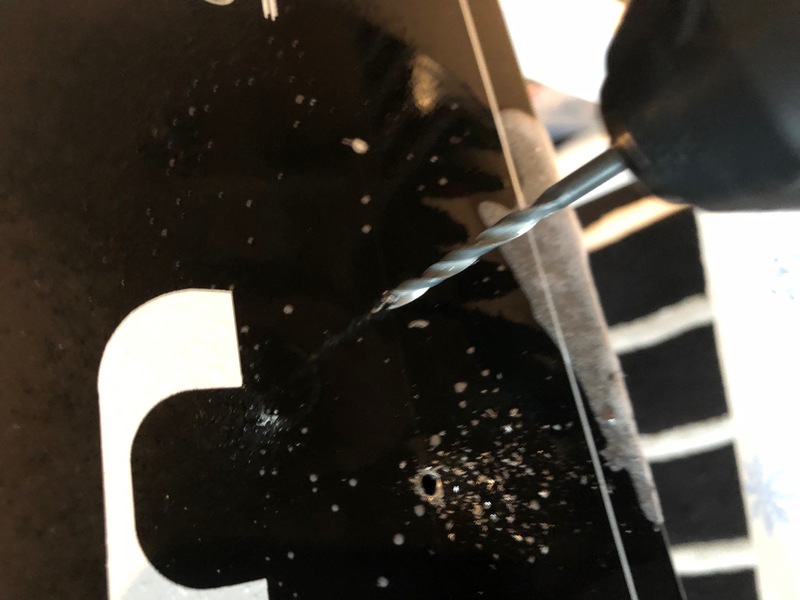 I rediscovered an old trick when drilling metal: use a bit of alcohol, not on the person drilling, but on the surface you want to drill. And don’t go too fast. Giving my JEN SX-1000 a bit of additional low growl by adding a pre-filter overdrive. A nice little addition: Insert a booster circuit kit where the coupling capacitor between oscillator and the filter used to be. Come on, you’ll have to take out that damn capacitor anyway. And it sounds really nice, punching through the mix (samples below) – especially in combination with the sub-oscillator mod. I do admit that you might think that this is a superfluous mod. After all, when you drive this circuit – any circuit – into overdrive and into clipping, the resulting wave form will, gradually, start to resemble a square wave. But I could do it, so I did it. And I like it. So let’s get started. Update, 25-Jan-2017: Post has been updated to reflect my recent insight that the “self-lubricating” encoders in the Blofeld use a contact oil which should be replaced to avoid abrasion and wear. My sincerest apologies! I like my white Blofeld. 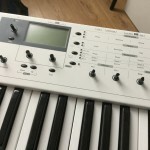 A very versatile VA synth with a good programming concept, and I am simply smitten with its look and feel. Solid metal, not too bulky or too heavy though, a big friendly graphics display, and a very good keyboard, with very good aftertouch sensibility. Got it really cheap, too. 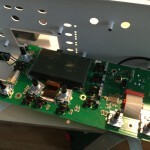 As with the E-MU ESI32 that needed a new backlight, a steel casing means solid build quality – for the mechanical parts. BTW: To take it apart, you have to remove all the screws on the synth’s underbelly – 18 of them, casing screws as well as the ones holding the keyboard. No need to remove the wooden side panels or the rubber feet though. 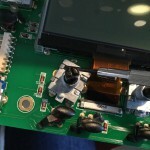 Then, remove all screws holding the electronics board – one of them is under the power switch so it is necessary to remove that switch from the housing by applying gentle pressure from the inside. In short, be warned: it’s a real pain in your lower backside to get the electronics dismounted, so if you do not have a good reason to remove Blofeld’s brain, just don’t. Jumpy encoders being a very good reason, of course. One thing that seems to plague the Blofeld, keyboard and desktop versions alike, is that the encoders are likely to behave eratically; they tend to become jumpy an unrealiable. 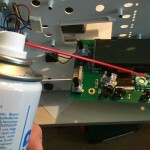 Achim at stromeko.net, who has loads of insight into and experience with Waldorf synths and their tech, recommends soldering in buffer caps, but to make a long story short, I think you might be better off cleaning, lubricating, and bending rather than only soldering. I’d suggest addressing the mechanical problems first. My Blofeld did indeed suffer misbehaving encoders. The two under the display were the worst, the ones that you use the most in tweaking sounds. This type of behaviour is not new to me; I fixed a Micro Q once, the Blofeld’s predecessor that had suffered from the same erratic encoder behaviour – after years of use. They still use the same kind of encoder – and these are easy to open and clean. Once again, it proved that most problems in electronics are mechanical by nature – in my Blofeld, the encoders had been greased to ensure smooth operation, but a surplus of grease had seeped into the contacts. Update: Or so I thought – in fact it may be a special kind of grease to protect the contacts; you may use Kontakt-61 or a similar lubricant intended for contacts. To fix the mechanical problems, carefully bend the pickup contacts on the rotor just the tinyiest bit higher to increase pressure After cleaning the encoder, and after re-applying the contact oil, encoder operation is now flawless. To get to the encoders, the buttons have to be removed. Just pull them off. The Blofeld’s brain – that’s all there is: one tiny chip does all the work. The encoder is held together by four metal tongues fixing the top part. 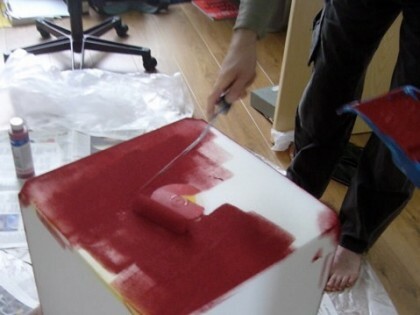 Carefully wedge them away with a small flat screwdriver. Warning: the metal is easy to bend but will tear when bent repeatedly. The top of the encoder, removed. This is the rotor. Clean carefully and, with even more care, readjust the feather contacts to compensate wear of older encoders. 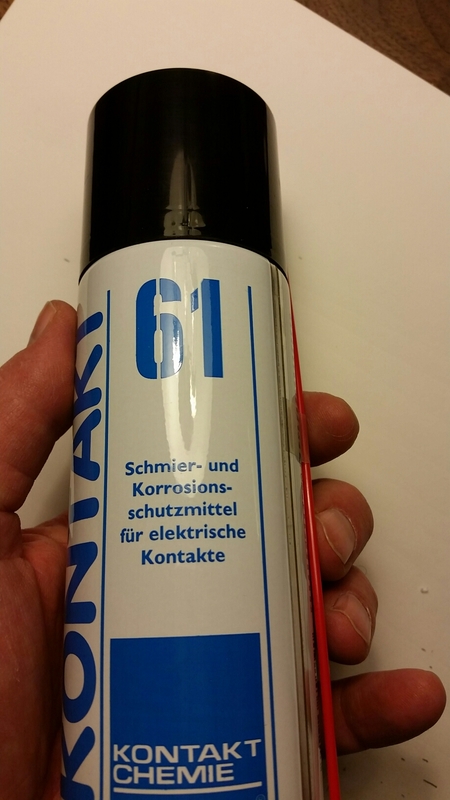 I am usually not too keen on chemical solvents like Kontakt spray, but it did good work as a degreaser here. 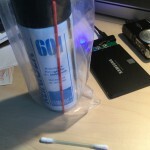 Spray the solvent on a Q-tip rather than onto the encoder shaft – the grease is needed here. A bit of degreaser applied to the base of the encoder. Clean and dry with a Q-tip, put the top part back, and bend the metal tongues back to hold it in place. 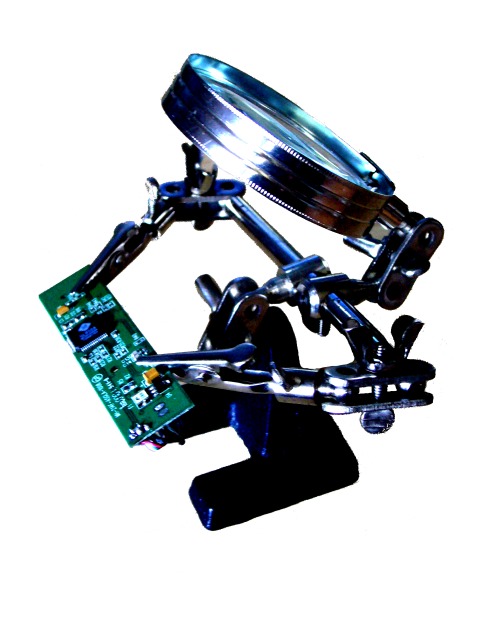 Use a bit of force, or the encoder will tend to clatter. The encoders are held together by four metal tongues from a very soft metal. 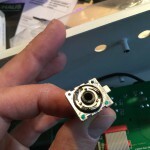 It is very hard to bend it back into position so that it closes the encoder without play; a drop of hot glue holds the top in place and is easily removed if the encoder is due for maintenance again. One final note: The main encoder left of the display is of a slightly different type where the metal tongues have to be straightened to pass through a hole in the top part of the housing. Extra care needed with that. Wie färbe ich Schaumstoff – und vor allem: warum?